We often start with sounds-in-isolation for our articulation students, but there are only so many ways to make targeting this level, well... FUN! This product was made to fill the gap. Make the first level of articulation therapy FUN again! 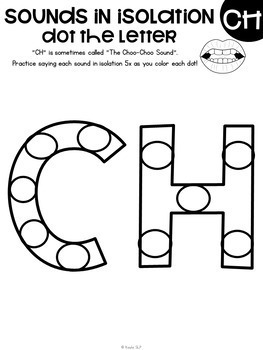 There is one page of sounds-in-isolation “dot the letter” practice sheet for each phonemes: /b, ch, d, f, g, h, j, k, l, m, n, p, r, s, sh, t, th, v, w, y, z/. 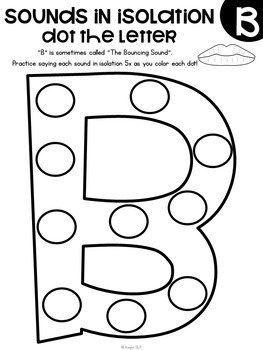 Say the target phoneme, 1, 5, or 10 times as you dot (or color, or decorate!) each letter. 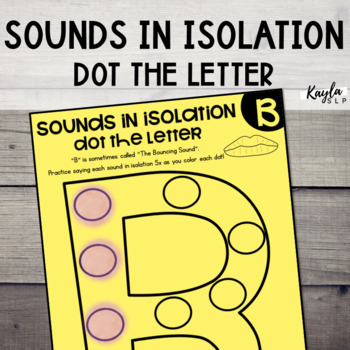 •One large phoneme with dots inside to color for each correct production! 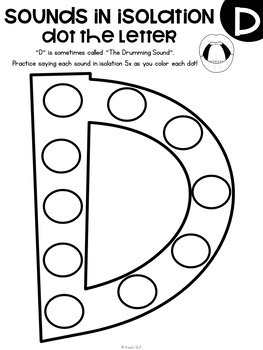 These are great for drill practice or to send home as homework!